Spearmint is a great herb which is pleasant smelling and one of the ingredients in some toothpaste or cosmetics. It is also rich in many vital nutrients. There are many types of mint known: peppermint, spearmint, apple mint etc. Spearmint is said to be slightly weaker than the peppermint but it still has all the benefits. This tea has become one of the popular and energizing teas. 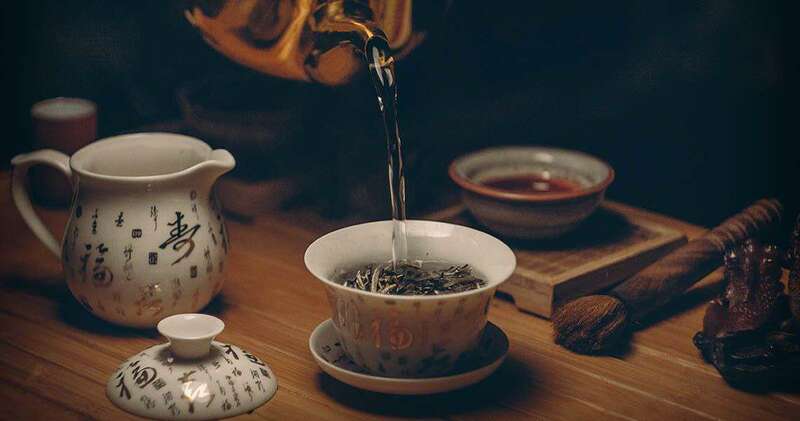 Unlike many other teas, it is normally best when it is taken out fresh from the garden and is brewed directly from the boiling water. Polycystic ovary syndrome (PCOS) is a common women problem in which the hormones are not in balanced form. The cause of PCOS is not properly understood, genetics may be a factor. The problems in PCOS are caused by hormonal changes. One problem triggers another. Around 1 in 10 women in India are diagnosed with PCOS. There is an overabundance of androgens. It causes the problems in periods and there is also a difficulty arises in getting pregnant. The usual symptoms are acne, missing periods, hirsutism etc. Hirsutism often leads to several cosmetic and psychological problems. Most women with this problem of PCOS often find the growth of small cysts on their ovaries. Spearmint tea is one of the best natural remedies for PCOS & Hormonal Acne. Two of those benefits is that it balances hormone levels and reduces hirsutism symptoms. Drinking this healthy beverage can cure the problem, study says. It is a great plant-derived anti-androgen which is useful for managing PCOS (polycystic ovarian syndrome) and hormonal acne. It is one of the chief botanical teas that can be used to treat PCOS. It has been thought to possess testosterone reducing property for many years. It is a great herbal remedy for hirsutism in females. In a clinical trial, it was found that after being treated with spearmint tea, there was a decrease in ‘free’ testosterone levels of the patients. ‘Free’ testosterone is the hormone responsible for the problems of acne, hirsutism and other PCOS problems in women. There was also an increase in follicle stimulating hormone (FSH), luteinizing hormone (LH) and estradiol. LH is the hormone that is responsible for triggering the ovulation and FSH is the hormone that is responsible for the proper maturation of follicles. The tea is easy to consume. Dip a tea bag in a cup of warm water. Steep it for some time. Repeat it after every lunch or breakfast. No side effects of spearmint have been identified so far. Many women have shared their experience online that they suffered from this problem and how this tea helped them in fighting with the problem. Few of the women found two cups of spearmint tea a day to be more effective in clearing their acne than prescription remedies. It can reduce the acne lesions by up to 20 percent after a month and up to 51 percent after 3 months. Some say that this healthy beverage can be used only as a supplementary therapy but not a therapy alone for treating acne. Though the spearmint tea for PCOS/ hirsutism might need a conclusive proof the studies so far have indicated that it is a harmless intervention for the hirsutism/ PCOS management. But we still cannot deny the usefulness of spearmint tea in PCOS/hormonal acne.